If you are betting on Manchester United vs PSG in the Champions League tonight, check out these enhanced odds offers before you do. We’ve looked at the 10bet price boosts for the match and ranked them in order of best to worst. The first leg of the Champions League last 16 match at Old Trafford has taken a few twists and turns before it has even started, with Mourinho gone United have gone on a fantastic unbeaten run over Ole Gunner Solkjaer. On the other side of the English Channel, PSG have lost Neymar and now Edison Cavani to injury. You need a 10Bet account to bet on these – get one here and get up to £100 in free bets. 1 Man United to win and both teams to score – was 11/4 now 3/1. 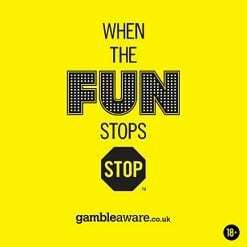 2 Mbappe and Pogba both to score – was 11/2 now 6/1. 3 PSG to win and 4 or more goals in the match – was 6/1 now 13/2. 4 Pogba to score first – was 13/2 now 8/1. 5 Mbappe to score first – was 9/2 now 5/1. 6 Lukaku to score first – was 11/2 now 6/1. 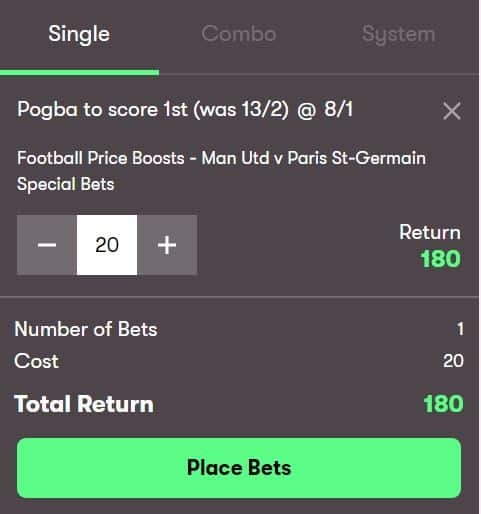 The bet we would choose here is the 8/1 for Pogba to score first in the match. He has been on fire recently and has scored the first goal of the match a few times in recent weeks, including at the weekend against Fulham. The best odds for Pogba to score first tonight are 7/1 but you will get 8/1 when you bet with 10Bet. Read More: See our Man United vs PSG predictions for tonight.